I find it odd that as an adult, the memories I have of living in the Philippines as a child, are all centered around food. I remember the pig roast, the mango's, coconuts, sugar cane and slugs (although not a fruit..I will never forget the slugs...LOL). Up to this day, I can still taste the flavor of the mango's. I find that the mango's in the states just don't have the same flavor. I believe it's because they are not as fresh as what I was used to. This has never deterred me from having a mango though. I still love the juicy orange flesh. I bought a few mango's the other day and some shrimp. I wanted to throw together a table that was bright and sunny. That was a reflection of our summer here in Maryland. I wanted the colors to be vibrant and fresh. 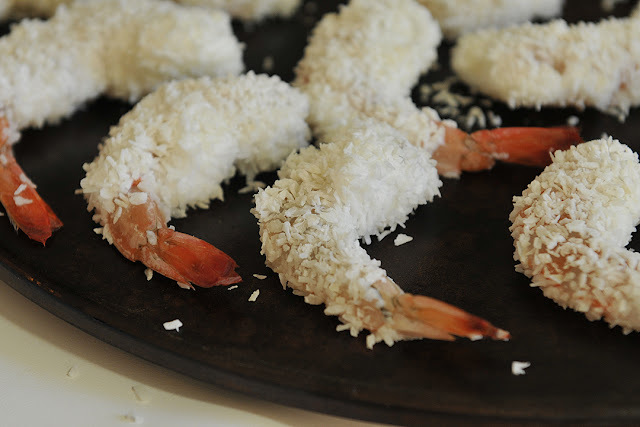 A while back, my friend over at Cooking with Mel posted a recipe for Coconut Shrimp that looked so good. I wanted to make this for my family. 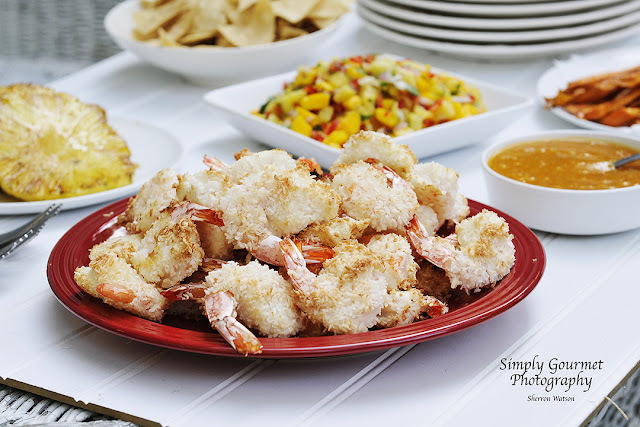 You can find her recipe here for Fried Coconut Shrimp. I should have read the recipe before I went to the store because I discovered that she used peanut oil. I was bummed because I did not have any of this on hand and so I decided to bake mine. I am not going to lie...I think the fried shrimp would have tasted so much better, although the baked were okay and quite tasty, frying in the peanut oil brings a different level of flavor to this dish. You choose how you want your shrimp...baked or fried! They are both yummy. Your shrimp should be washed, shell removed to the tail and de-vained. This process took me 15 minutes. In a bowl add your egg whites and beat until stiff peaks form. In a separate bowl, add 1 cup of coconut at a time. It's hard to say exactly how much you will use. I bought 2 cups from Whole Foods and I had plenty. 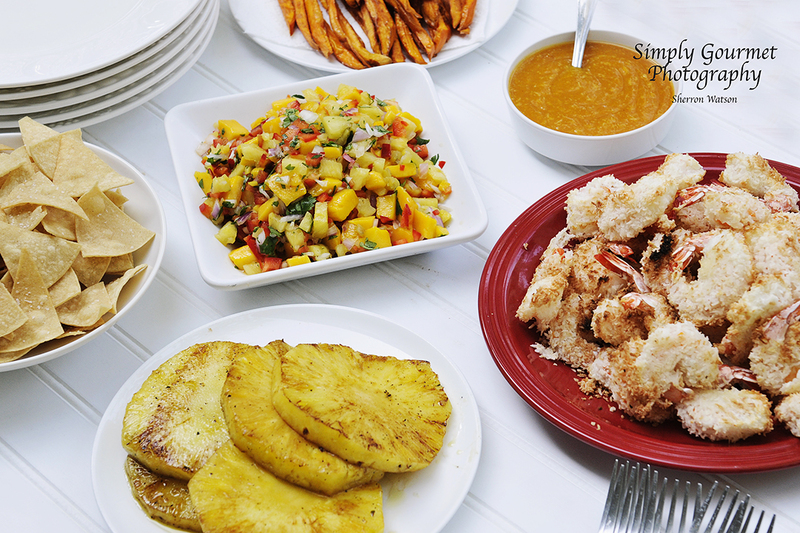 Take a shrimp and coat it with the egg white then coat the egg white with the coconut. I used my baking stone and lined the shrimp on this. 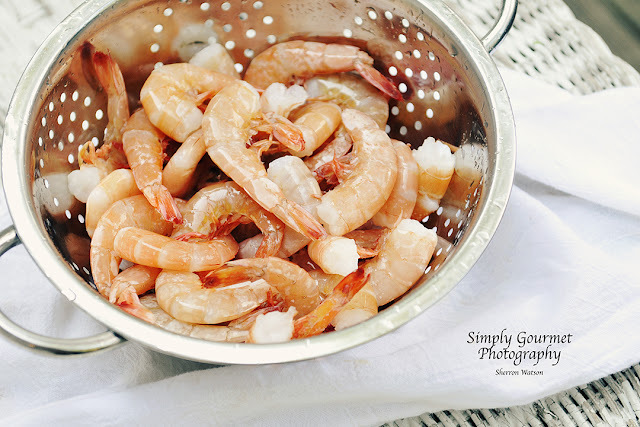 The shrimp needs to bake for 8 minutes on each side. Turning the shrimp allows both sides to brown and cook. The shrimp should be solid when touched to check for doneness. 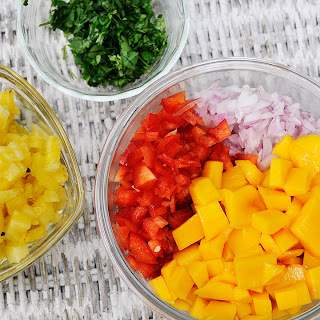 Take all of your ingredients and combine them in a bowl. Mix well and serve with chips or over fish. 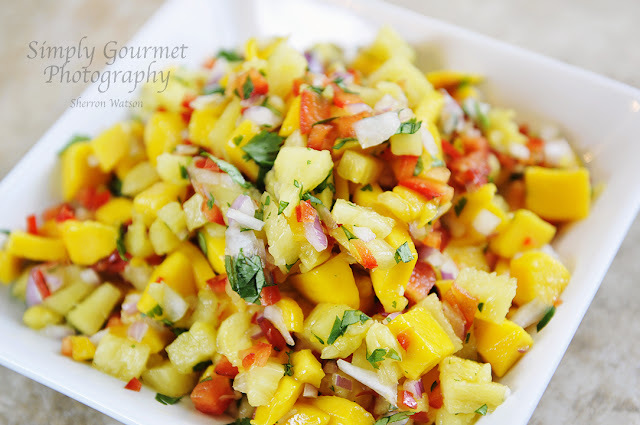 If you need help in cutting a mango, go here for two different techniques. HOW do you do this??? Kids, life, wife, FB, blog...I'm blown away...and that's just for starters...your photography!!! OMG! What a great timing!! I'm not joking, I *just* defrosted shrimp and wasn't sure what to do with it. AND I have unsweetened shredded coconut that I bought by mistake (I needed "sweetened"). See, this will be our tonight dinner Sherron! WHOO HOOO! I'm using more oven dish lately and it helpes when I'm busy... Thanks for the recipe!! fantastic post, very informative. I wonder why the opposite specialists of this sector do not realize this. It's going to be ending of mine day, except before ending I am reading this fantastic article to increase my know-how. for me. I'm taking a look ahead for your subsequent publish, I'll try to get the cling of it! I am encountering problems with your RSS. I don't understand why I am unable to subscribe to it. Is there anyone else having identical RSS problems? Anybody who knows the answer can you kindly respond? Thanx!! I hardly create comments, however i did some searching and wound up here "71. Coconut Shrimp and Mango Salsa". And I do have a few questions for you if you do not mind. Is it simply me or does it look like a few of these responses come across like they are coming from brain dead individuals?